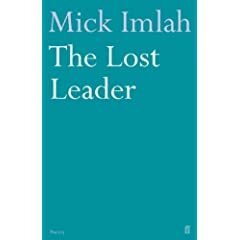 His first collection of poems in twenty years (since the acclaimed Birthmarks in 1988), and Mick Imlah's new Faber volume, The Lost Leader, is sure to be one of the most significant poetry books published this year. In this weekend's Guardian, Peter McDonald reviews it. Not just this yr willie, but one of the most significant volumes to appear in the coming century. Imlah is in a position similar to Samuel Sidney McClure from the North of Ireland (antrim), who was born ninety nine yrs afore the Aberdeen magus. 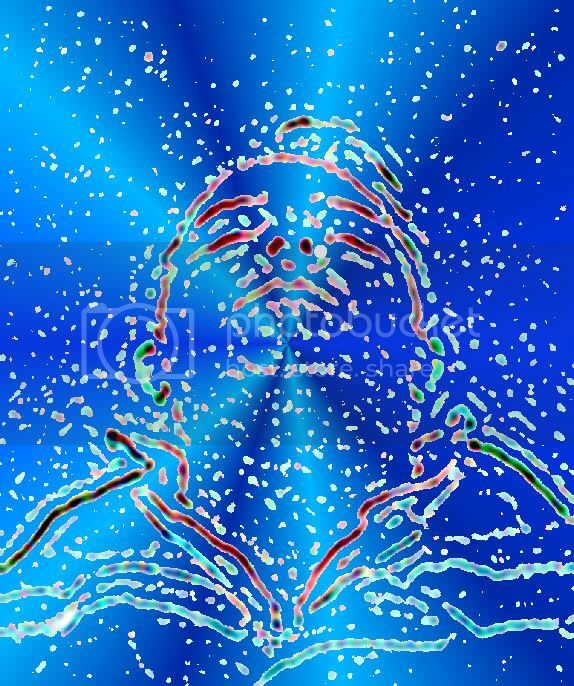 ...whatsit the one who wrote the bios and admitted all he had in the poetry dept was 50, after 40 yrs or so, and maybe Imlah's like this. Anyways McClure did with novelists, what Pound and Eliot did in England and Italy, but who unlike Pound and Eliot, straddles the divide of the 19 and 20th centuries, as Yeats. He was a fully functioning living titan who (with a business partner Frank Nelson Doubleday) is a founding father of the Doubleday press, and his place in the history of contemporary American journalism and letters, just one small calibration and cog in that great American tradition, alas, few of us duffers straddle, innit? And i know the author of this blog is a (huge) supporter of Simon A, but my own stance, (as far as one can actually take Si seriously) is the *arm It age* is over and the disciples of this adept who have materially and spiritually benefited from imitating him; are few and far between, except for one or two of the early fawns bummie chums, what, what old bean B!!? Anway, McClure was huge behind the scenes, of assisting others whose talent he fearlessly believed in and McClure on his career as a publisher alone, rests. Doubleday was set up by McClure and Doubleday, half his imprimatur, as Jane Holland and others have their own, as todd and chris and all of us, now fighting over a different concept of presence, place and Poetry. Poetically befitting that the literate energies of a publisher and writer from Europe, unleashed the lions of the flapper age F.S Fitzgerald; Hemmingway. The mag that really made it happen though came when he merged his 200,000 monthly McClures Magazine, with the main rival The Smart Set, ts smart, smarter, smartest yet, this titan..
And then of course, Atlantic Monthly, and the top brass one of the lot The New Yorker. Looks very interesting Ben - thanks! Hi, Barbara, it certainly does – I’m looking forward to reading it. BA, thanks for your post – though I’m bewildered that you feel sure enough in 2008 to claim that Imlah’s book will be ‘one of the most significant volumes to appear in the coming century’. However, I do agree that the tides are slowly turning in contemporary poetry (and have been for a while), away from (and as a development of) the New Plain Style popularised by the likes of Armitage and Duffy. And yes, I am a fan of Armitage’s poetry (the critical perspective I wrote on his work being an amalgam of my opinions and his wider critical reception) but not to the extent that I'm held ransom to his poetic - if you read my work I'm sure you could tease the influence of Armitage out of it (you can bend plenty of poetry to fit that sort of agenda, as some reviewers insist on doing), but he’s one of a number who’ve had an impact on the way I write. 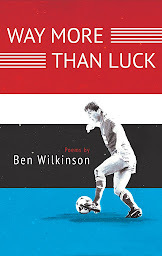 In fact, I suspect – as I note from your snide remarks in the past – that you like to think that you’re one of only a few poets who’re working in a truly ‘worthwhile’ poetic tradition (those Irish Bards) when such a tradition (whilst no doubt worth brushing up on) was pretty much absorbed into – and superseded by – Romanticism, and by turn, eventually Modernism. A gross oversimplification of literary history on my part there, yes, but I’m only fighting fire with fire – you patronisingly talking of me as ‘young and keen’ on your “Guardian Unlimited” forum (assumedly for those who couldn’t play nice on the actual forums, which are pretty vitriolic in themselves) does no good – as you point out, I have had a fair bit of success as magazine publication goes, but is such success (and by extension, others’ similar success) really down to some fluke on the poet’s part, or how misguided you must clearly suppose magazine editors to be? If you are going to work hard and long at your poetic before you send anything out into the world for publication (as you have frequently suggested) I wouldn’t be making sarcastic comments about those who’re doing the same but also happen to have had a few poems published along the way. Find bigger fish to fry. Oh, and as for my comment on Surroundings questioning your claim that Michael Hofmann attended St Hilda’s – I wasn’t questioning your knowledge. I don’t know that much about his educational background (except that he was at Oxbridge), but I do know that, up until quite recently, St Hilda’s was a women’s only college. Best of luck with your future writing. "(those Irish Bards) when such a tradition (whilst no doubt worth brushing up on) was pretty much absorbed into – and superseded by – Romanticism, and by turn, eventually Modernism. A gross oversimplification of literary history on my part"
W, this tradition ran from 5 - 17C, 1200 yrs of tradition, and the oldest vernacular literature in europe which ran for 1200 yrs, and which took seven yrs to learn, going through six grades before one could publically practice as a poet in this tradition. As for being *absorbed* into and superceded by romanticism, well it is a bit more complex than that. This tradition was razed by Cromwell and before that the tudor courtier poets like Raleigh and Spenser, who failed to recognise it. This glib assertion of yrs, whilst no doubt sincere, is symptomatic of the failure to treat only yr own 500 yr old modern english language tradtion as being of any merit. The bardic tradition offers a link to druidic practice and offers the student of poetry a far deeper understanding than the transplanted graeco roman myth system on which the tudors set their own stall out on. Basically the native british poetic of wales, was this system, and the graeco roman when adopted by the tudors was 1000 yrs dead and 1500 miles distant at its closest living point. I have to agree that the bardic tradition offers a more enlightening way in to the history of poetry hereabouts, but I guess we all tend to over-emphasise our own standpoint, and I see nothing wrong in that. There is room for more than one strand in the weave. Fascinating dispute though. While I can't argue with a lot of what you say, BA (not least because you clearly know a good deal more about this than me), I would take issue slightly with "only yr own 500 yr old modern english language tradtion as being of any merit." Modern English, and modern English poetry, have taken a fair amount from Middle and Old English. Not as much as they might, admittedly, which might be the point you're making, but it's still worth noting.